So funny that a year has come and gone so quickly since my last Movember fundraiser. But November 1 kicks off Movember 2013! As you may or may not remember, the Movember campaign is a charitable excuse/opportunity for men to not have to shave for a month. We get to cover ourselves in facial hair or as its known by people who have to see me on a regular basis “thank goodness it Movember”. 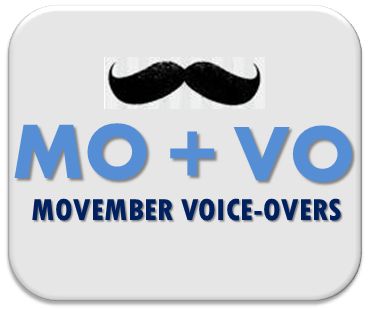 I need YOUR help with either a donation to my page or (if you’re so inclined) join Team MO-VO (short for Movember Voice-Overs). You can donate $5.00, $5,000 or anything more or less – I’m appreciative of all of it and it all goes to the campaign. No Cancer is a good cancer and Lord knows we as individuals don’t do ourselves any health favors by what we ingest via food, smoke and general pollution. Combine that with genetics and Cancer is a painful and expensive reality for all of us. But in the spirit of doing what we can, I and my teammates participate in Movember. Movember’s focus is on Mens Cancers like Prostate Cancer (in the US, one in six men will be diagnosed with prostate cancer in their lifetime making it the most frequently diagnosed cancer in men after skin cancer. In 2013, over 238,000 new cases of the disease will be diagnosed and almost 30,000 men will die of prostate cancer in the US alone) and Testicular Cancer (the most common cancer in young men between the ages of 15 and 35. It starts as an abnormal growth or tumor that develops in one or both testicles. It is a highly treatable type of cancer with a very good cure rate (about 95%) if found and treated early). So I hope and pray (Happy All Saints Day) that you and your family are healthy and that you never are touched by Cancer. And I hope you’ll share some of your treasure with this cause. Thanks. Truly…thanks! I haven’t hosted a radio show in decades (plural, like 3, I think). So when Tom Dheere called me a couple of weeks ago prior to FaffCon 6 and asked me if I would be the guest-host the live recording at FaffCon 6 of The Voice-Over Cafe podcast, substituting for my friend Terry Daniel– who could not make it to San Antonio- I immediately said yes. I then wondered what the hell I had gotten myself into. You see, I hadn’t hosted a radio show in decades – this was to be my unspoken mantra in my head right up unto show time. But I had committed to it, so I would see it through and since it was produced like a radio show but edited like a podcast, I had a better than average chance of not looking/sounding like a complete fool. So with Tom producing, Trish Basanyi co-hosting, Sean Caldwell as our staff announcer and Peter Bishop as our man-in-the-crowd-of-the-people-by-the-people-mostly-near-the-chip-dip, we went live. I was going to have to count on those pros to carry the load (cause I’m no Terry Daniel) as well as a friendly live audience and just pray that my rusty broadcast improv skills would find their way to the fore. Overall, things went very much like a live broadcast (exciting, fast), including the change up in scheduled guests, interviews and segments right up to the show’s start but like the pro I pretended to be and they are, we rolled right through. With Trish’s electronic razor blade and tape to edit any of my flubs – the show turned out great. I hope you find it just as much fun to listen to as it was to be a part of. 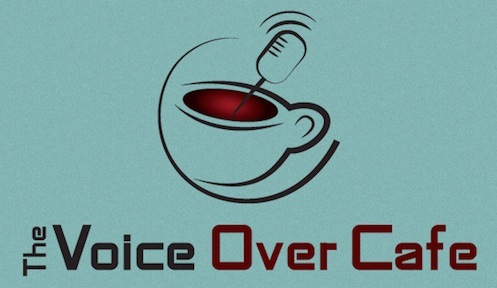 I’m grateful to Terry, Trish, Tom, Sean and Peter for including me and you’ll be grateful to hear that Terry will be back in his rightful place as co-host on the next edition of the Voice-Over Cafe. Without trying to wax too poetic, life is about relationships. Business is about relationships and to really drill down, the voice-over business is about relationships to the extreme. Like freelance graphic designers or boutique advertising agencies, a voice-over talent is basically selling his or her unique voice and cognitive skill set to help promote or inform a potential client’s audience. There are millions of designers, ad agencies and voice over talents. Using marketing tools like advertising, social media, branding and networking each business owner works to entice individuals or companies to buy their services. Generally, ad agencies and designers do not have representatives outside of their own business to help drum up business. Voice-over talents do (as do others in the performing arts like actors and musicians). But having a voice-over agent does not guarantee new business success for a voice talent. Being on an agency roster is not the completion of the job – it’s just the beginning. From an agent’s perspective (and these are only observations of the VO agency business from a talent, I am not an agent) they need to have a roster of voice actors who offer the versatile talent services most desired by potential clients and talents who have the work ethic to get the job done professionally and consistently. That’s a large part of how voice-over agents make money – without the right talent, an agent doesn’t have much of a business. The other part of how agents make money is their relationships with the business community who hire voice talents.This allows them to either directly get a VO job for a voice talent or have selected talent audition for a job. I’ve had many agents over my career and the if you think the voice over business has changed since I started in 1982, you really ought to consider how the voice-over agency business has changed since then. Holy cow!!! As just one example, for the majority of voice-over talents today, we have a team of regional voice-over agents where in the old days you had one or two. Sure some folks still do it that way, but not most. For me, the biggest and most obvious, change is how the relationship between the voice talent and voice talent agent has changed. Voice talents didn’t use to market themselves as aggressively as they do now (part of the reason for that is that there didn’t used to be so many voice-over talents) but now voice talents are their own marketing machines with voice-over agents a cog in that machine. But to my way of thinking, it’s a vital cog. While a voice-over agent can’t make or break a career like in decades past (with a few exceptions) their role as an ambassador to a voice-over talent’s abilities has never been more important. In all of business, the technique of relationship selling has become extremely important. More and more often, clients want their vendors to serve as resources not just providing Service A for Cash Amount B. Clients want insight, direction and advice on trends – most clients want the knowledge base that comes from a particular company. Secondly, they want people that they LIKE doing business with, they want to work with people with whom they have a good chemistry. It doesn’t mean they’re in love, it just means when all is said and done, friends will prefer to do business with friends. It should be the same with voice talents and their agents. It should also be the same with agents and their voice talents. I wrote that specifically to illustrate that this particular relationship a two-way street. And I’ll only exemplify this in how I try and work with the agents I’ll still work with (yes, I am saying something there to the point of this blog post without saying it). I look at my agents (sometimes to their annoyance) as my key business consultants, not just new business development managers. They hear more from such a wide variety of sources and have such a wider network of contacts, that for me not to occasionally tap into that resource with a phone call, email or even a lunch (I’ll buy) would be crazy. They key here is to respect voice-over agents as more than just sales people (although, yes, that continues to be their main responsibility). The secondary outcome of these occasional agent calls is that you as the voice talent come back to top of the mind awareness for your agents, not only for showing sincere respect for the agent’s abilities, but also that you are an active part of their roster. You’re sharing new information about your career, your achievements and your industry insights which one would hope make a positive and memorable impact on the agent. For many quality agents, as long as you’re not obnoxiously frequent in your call or email communication – this kind of update is important. For other agents, the call serves as a reminder you ARE on their roster. These are likely the agents you NEVER hear from and who can’t be bothered to return your phone call. They are always so incredibly busy with calls to prospects or driving their kid’s school car pool that your call is clearly an inconvenience to them but they “love your voice, great sound!” These are among the reasons you’ll want to walk away from that agent – nothing of value will ever come from being on their roster. At best they are lazy and at worst they are indifferent. In fairness, there are voice talents with those traits too and the smart agents drop those voices fast. I’m fortunate that I have good relationships with my agents (I think, anyway – their mileage on me may vary). Like any dating or marriage situation — it’s ever evolving and there are good days and bad days. But for me, I trust they have my best business interests at heart and if they needed me to make changes to my performance etc., they would tell me. I count on that feedback. I’m still driving my career but every performance vehicle still requires a master mechanic or two to keep things running smoothly. I’ve got a good team. I hope you do too. The worst part about any FaffCon event is that…it ends. Oy! But one of the many brilliant things that Lauren McCullough and Amy Snively did was hire “The World’s Favorite Promo Voice” Sean Caldwell to be FaffCon 7’s photographer (by the way I call copyright on “The World’s Favorite Promo Voice” tag). He did a classy video montage of many of the pictures her took, marred only slightly because I’m in a few of them (but fear not, they pass quickly). I hope you enjoy his work as much as we all enjoy being his friend. I’m on a plane right now – maybe at 30,000 feet – flying back from FaffCon. WiFi in the air is a good thing. Going back to see my family makes me very happy. I always miss them more than they know and I know it’s an imposition on Mrs. audio’connell to go days without me home to help (even as little help as I am). It’s humbling and I am more than grateful. Leaving my FaffCon family, on the other hand, is sad, especially knowing I won’t see them for another year. And as happens, some past Faffers couldn’t join us (there is a limit on attendees after all) so again, a little sadness. Why? These are people (past and present Faffers) who have shared their business, technology and performance knowledge (the “special, don’t ever really share with the public, peek behind the curtain type” stuff) with all the attendees in an effort to help others at the event grow their business. That kind of blatant, transparent and incredibly rare selflessness cannot help but make an impact on me (and others). These are the kinds of shared insights that you really won’t find in almost any other event or forum. 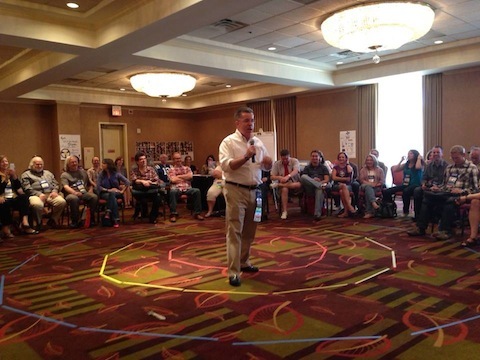 Other voice-over conferences aren’t bad – they are just different. And for me FaffCon works best for my business. And my spirit. There are many volunteers – many who just dive in at the event to help cause something needs doing (again, awesomeness). Yet there are two people who work so hard behind the scenes (and in front of the scenes) to make the event not just happen but to also make FaffCon completely relevant, educational and memorable that adequate thanks isn’t possible. How do you thank people who change your professional life and encourage your spirit to work harder and do more in an industry where everyone is basically on their own as a business owner? The answer is you try and keep trying, hoping that the sum total of sincere thank yous to them at the end of time are so apparent that they feel the collective thanks in their body, mind and spirit. Maybe that will be enough. To my friends Lauren McCullough and Amy Snively – thank you for including me (for as little as I contribute) to the FaffCon team, thank you for allowing me to learn among such talented and good people and thank you most of all for being my friends. SPOKANE VALLEY, WA, October 1, 2013 – – Despite their simple and consumer friendly business model, Zaycon Foods knew that some habitual retail consumers would still need their unique service (bringing farm fresh meats direct to consumers at wholesale prices) described in a bit more detail. Zaycon decided to craft an explainer video that would creatively combine graphics, pictures and narration to briefly and definitively tell their service’s story. The key to the video’s success would be to match Zaycon’s creative visuals and clever script with the right friendly, comfortable voice. 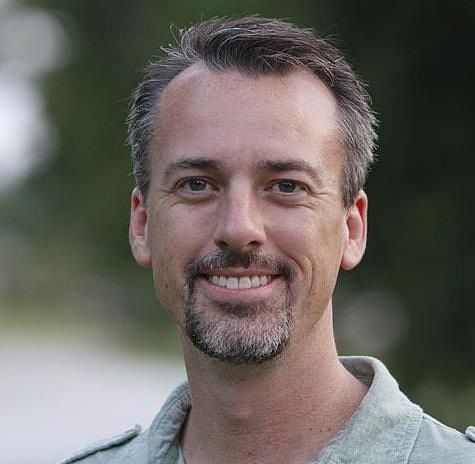 Choosing Peter K. O’Connell as their friendly, everyman narrator, Zaycon Foods has crafted a popular web-based video production that has succinctly and successfully told their story to a national audience via social media. Based on the success and style of the explainer video, Zaycon Foods later secured O’Connell as their brand’s voice for a national TV network commercial, which will be seen across the United States. Zaycon Foods is a privately owned company based in Spokane, Washington. The company was founded in 2009 with the goal of bringing fresh foods directly to customers at wholesale prices. Zaycon Foods combines the buying power of many families, so they can negotiate huge savings on high-quality foods, and they pass the savings on to consumers. In addition to this most recent narration production for Zaycon Foods, Peter K. O’Connell’s professional voice-over credits include regional, national and international voice-over productions for companies such as PBS (Public Broadcasting Service), Shell Oil, Pitney Bowes, Bacardi Rum, Highlights HIGH FIVE Magazine, Deloitte Canada, U.S. Army, Starz Cable Channel, BlueCross BlueShield, SunSetter Awnings, Time Warner Cable, New Jersey Tourism, First Financial Bank, N.A., Harlequin Enterprises, The Buffalo News, and Darien Lake Theme Park.